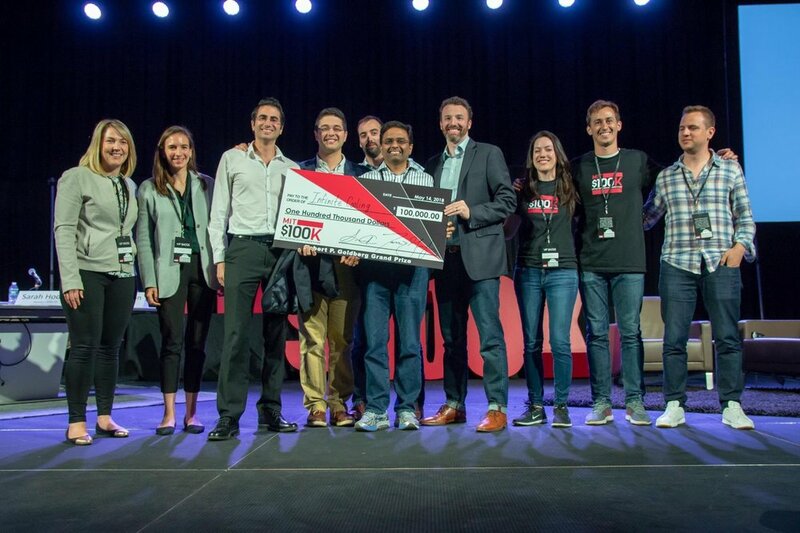 Infinite Cooling, a startup that developed a system at MIT to enable significant water savings in the process of cooling power generators, received the Robert P. Goldbderg Grand Prize at the MIT $100K Launch Finale. Its patent-pending technology uses electrical fields to recapture water that evaporated from the cooling towers of power plant. This water is then recycled back into the cooling system. Infinite Cooling's technology could decrease power plant water consumption by as much as 30 percent, saving millions of dollars to power plant managers every year. The co-founders of Inifinite Cooling are Maher Damak and Karim Khalil, PhD candidates in the Varanasi Research group in MIT's department of Mechanical Engineering. Derek Warnick, COO, graduated from the MIT Sloan School of Management in 2009 where he focused on sustainable energy and energy finance. The last co-founder, Kripa Varanasi, also serving as Chairman, is an Associate Professor of Mechanical Engineering at MIT. 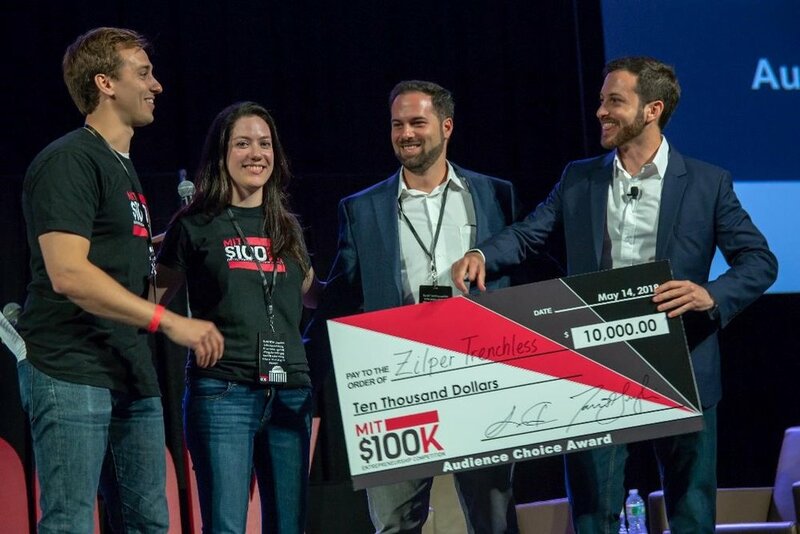 Zilper Trenchless, co-founded by brothers Daniel and Roberto Zillante, received the $10K Audience Choice award for its technology that avoids the need to dig trenches for underground piping installation. Steve Conine, co-founder and co-chairman of Wayfair, was the keynote speaker for this year's finale. Conine stressed that entrepreneurs need to value their customers more than they value their technologies. He recommended, too, the importance of creating a culture where people give honest feedback, which allows entrepreneurs to innovate faster.